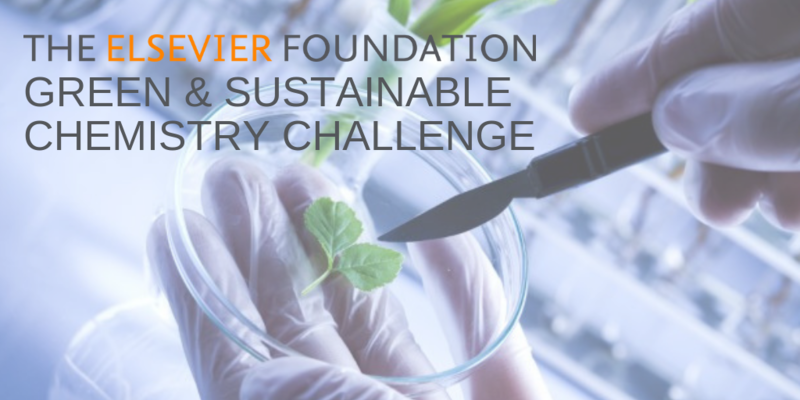 We’re proud to announce the top 5 contestants, who will join the the 4th Green and Sustainable Chemistry Conference (5-8 May 2019, Dresden, Germany) and will pitch their proposals to the scientific jury. Ramia Albakain is an Associate Professor of Analytical, Environmental and Bio-analytical Chemistry at the University of Jordan -Department of Chemistry. Her project is focused on the development of low cost, efficient and environmentally friendly nanofiltration cross-linked hollow fiber membrane for wastewater treatment in countries with limited water resources to to save the huge amount of wastewater thrown without any re-use. Dr. Ankur Patwardhan is heading the Biodiversity department at Maharashtra Education Society, one of the premier education institutes in Maharashtra State. He is a member of Maharashtra State Biodiversity Board and works in close association with the State Forest Department. His conservation initiatives were supported by various agencies like Ruffords Foundation, Ministry of Environment Forests & Climate Change and Indian Space Research Organization. The researchers involved in the project are Lecturers and researchers in the Department of Health Safety and Environmental Education, University of Benin. This department aims to prepare Nigeria for anticipated health and environmental challenges that are expected in the accelerated movement of the country from a third world economy to being one of the most environmentally friendly nations on earth. Dr. Varun Vohra is Assistant Professor at University of Electro-Communications (UEC) in Japan. The proposed project would be carried out through an international network including the Universiti Malaysia Sarawak (UNIMAS), the Polytechnic University of Milan (POLIMI) and the Institute for Macromolecular Studies (ISMACCNR) in Italy. Dr. Julio Pinzon is a chemistry assistant professor at Universidad Industrial de Santander (UIS), the largest University in the northeast part of Colombia. The proposed project aims to eliminate estrogen present in wastewater that directly alters the normal functioning of living beings and the natural balance of ecosystems by causing irreversible damage.